Click here for full testimonials. "Jacquie's personal brilliance and warm heart encourage others to shine and open themselves up to new possibilities. Her knowledge and understanding of this work through the Way of the Horse is exceptional. Anyone coming to Jacquie and her magnificent herd of horses should expect some "life changing" opportunities for growth and expansion." "Jacquie Braly is a skilled facilitator who well understands the transformative potential when horses call us to the inner journey. Her work with people and horses is filled with grace and magic!" "I had the privilege of attending a workshop at the Wisdom Horse Ranch, Arizona, during the Winter, 2007. If you love nature, you will love this place, it is the desert at itÕs most beautiful. I found that Jacquie is uniquely suited to facilitate this work! She and the herd provide an emotionally safe process to develop self awareness, coping strategies and facilitate change - and the herd will teach you things about yourself in the most surprising ways. I absolutely recommend the workshops. I came away having grown in clarity and confidence, how cool is that?! 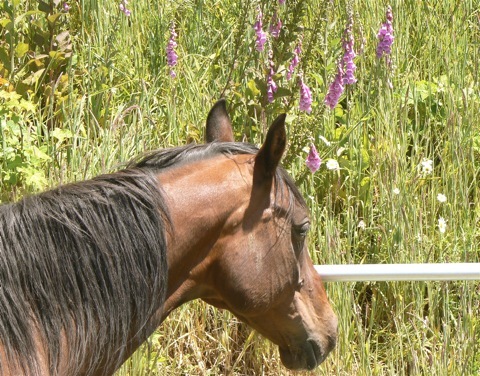 "I am still experiencing healing through the affirmation and self-awareness that began in my grief work with Jacquie and her horses nearly six months ago. I am grateful for their transformative touch." "The memories of my experiences with Jacquie and the horses continue to thrive and influence my life. I am truly grateful for the chance to work and play with them." "Sometimes people come in to our lives unexpectedly. They give us the gift of themselves that we so desperately need. Jacquie is this gift..."
"The Epona workshop is definitely a gift that keeps on giving. Never having been around horses before, in the way we were at Epona, I was quite apprehensive about the whole experience. Your certainty, compassion and obvious mastery around horses put me, and my mind, at ease. With your support and confidence in me I got to feel safe and supported and was actually able to find my way to having fun. Thank you for an amazing and very impactful learning and growth experience."